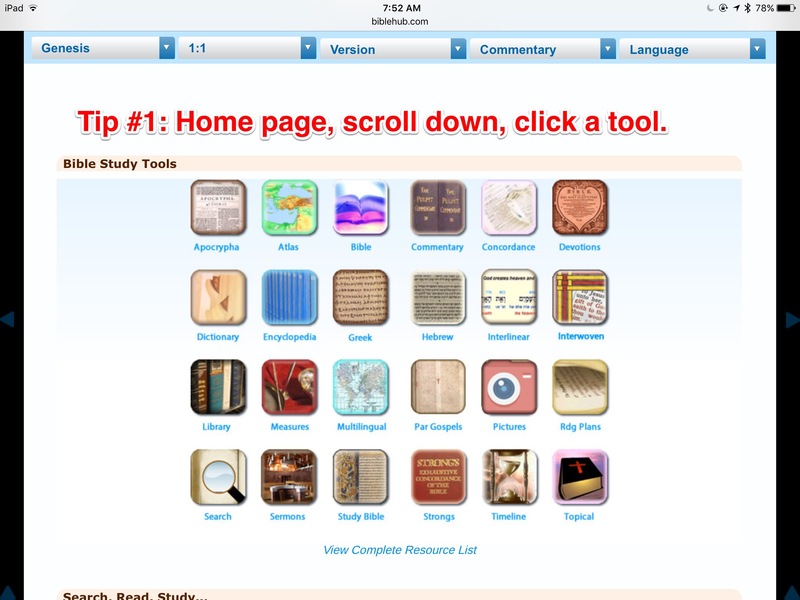 http://www.biblestudytools.com/ – very comprehensive. 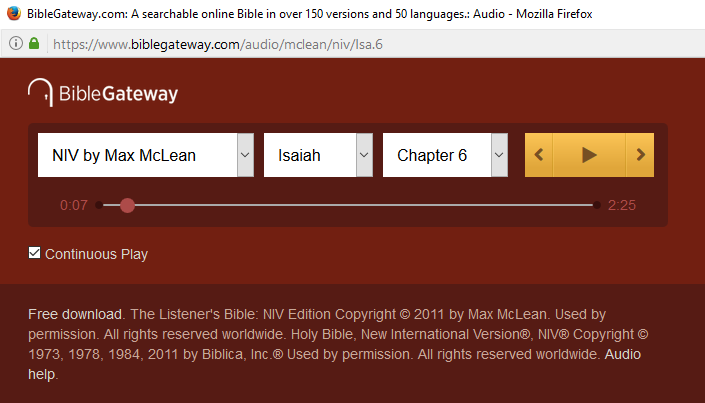 Commentaries, encyclopedias, and much much more. 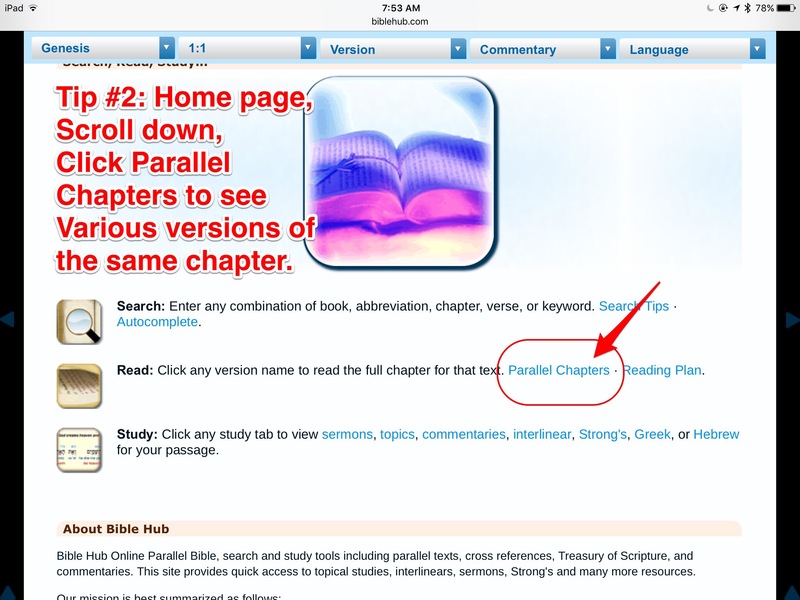 http://biblehub.com/ – also comprehensive. Many many commentaries. 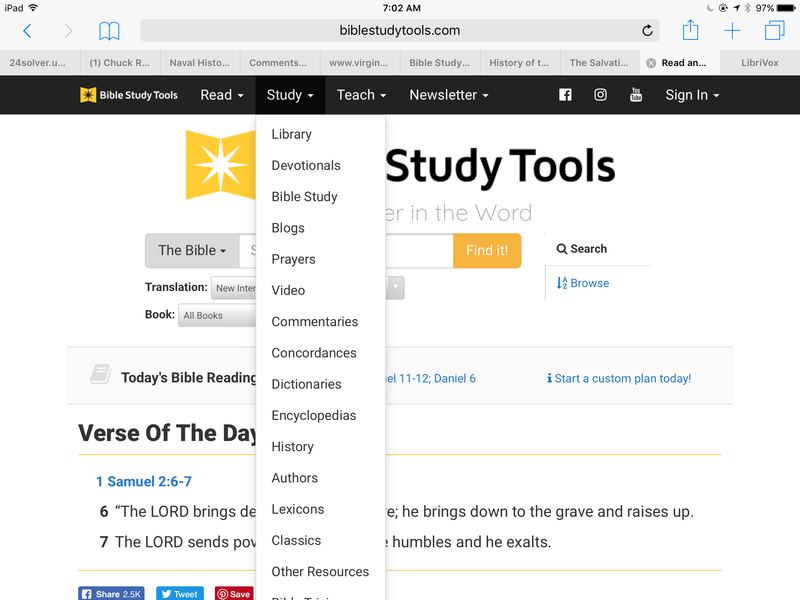 Has devotions. Can be a bit hard to use (but I have three tips below) because they use lots of 3-letter acronyms. Includes a nice parallel comparison of verses from various translations. 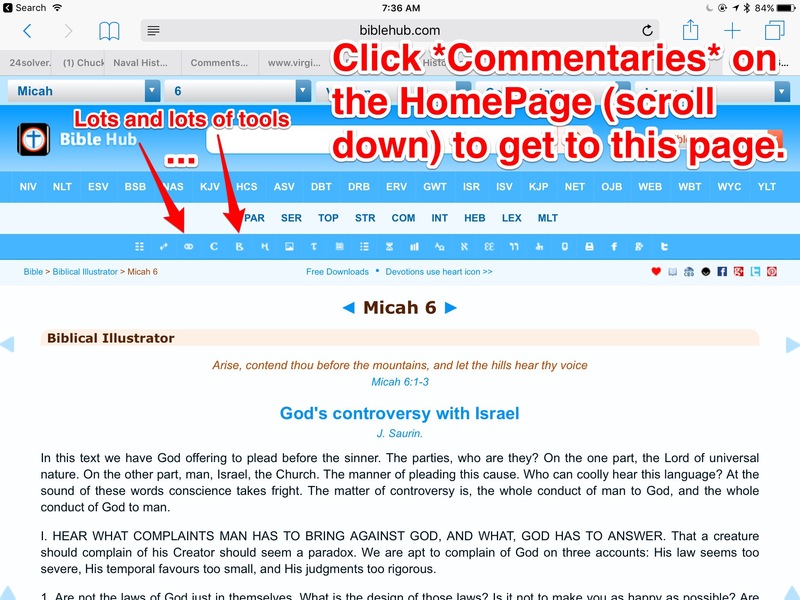 https://www.openbible.info/topics/service Good way to find verses in the Bible on a topic. This is ‘crowd-sourced’ in that people vote verses as helpful or not helpful. 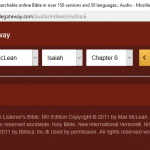 www.biblegateway.com – widely used Bible site. Includes audio Bible, devos, reading plans, and more. 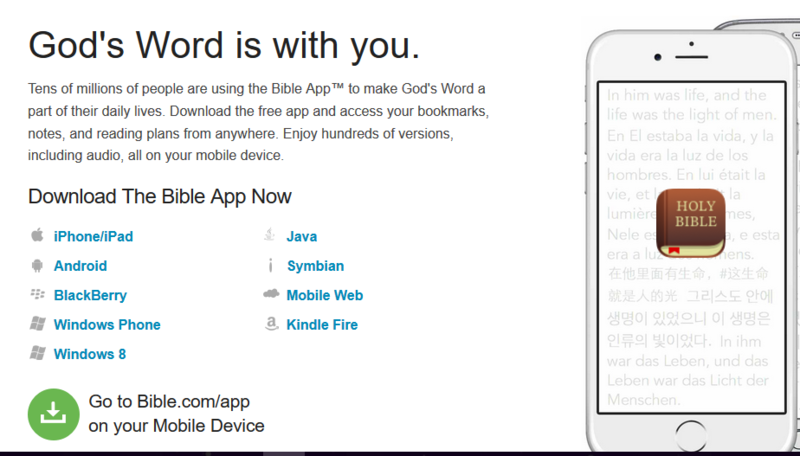 www.youversion.com – (also bible.com) – another widely used Bible resource (similar to biblegateway.com). More app oriented. 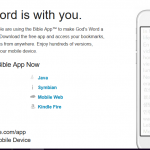 Probably more trendy than biblegateway.com.